Introduction to Digital Signal Processing covers the basic theory and practice of digital signal processing (DSP) at an introductory level. As with all volumes in the Essential Electronics Series, this book retains the unique formula of minimal mathematics and straightforward explanations. The author has included examples throughout of the standard software design package, MATLAB and screen dumps are used widely throughout to illustrate the text. 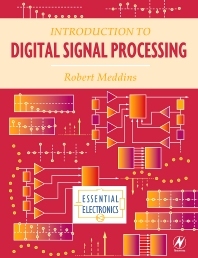 Ideal for students on degree and diploma level courses in electric and electronic engineering, 'Introduction to Digital Signal Processing' contains numerous worked examples throughout as well as further problems with solutions to enable students to work both independently and in conjunction with their course.